This isn't the end of the world. Gods, they're not angry with us. The Aliens aren't coming down. With the big capital G.
we eat. Where we go to the bathroom. They know what kinda cheese I like. They control it all and the weather too. Sharks? I never saw that coming. Enough said indeed... Sometimes you really can find a diamond in the rough though! I love that film... it's SOOOOO BAD, it actually crosses a unit boundary, inverts, and becomes GOOD! And can you believe... there are FIVE Sharkado films? 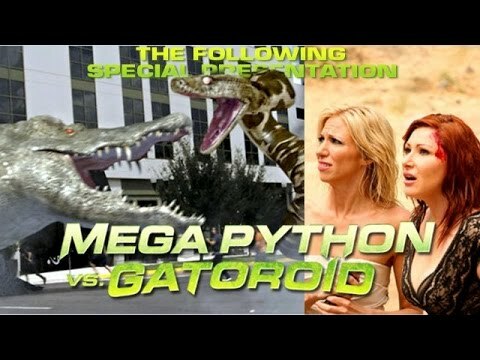 It's right up there with Tremors, another of my favorites. Havent seen Sharknados though and dont plan to even. Another classic that it reminds me of that released a load of sequels that got progressively worse, Critters! 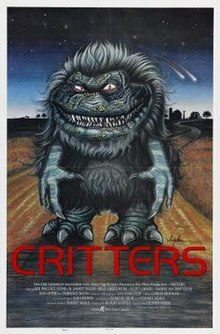 I havent seen Critters in many years, but my big brother remembers it better than I. I have some flashes of them little spiky balls rolling around and shooting them spikes too. I am not sure if I ever saw the whole movie or just bits and pieces of it back then.